Profit Feb 19th, 2019 $12.00 API Payment. Withdraw to allhyips from SPORT 4 INVEST LIMITED. Profit Feb 18th, 2019 $12.00 API Payment. Withdraw to allhyips from SPORT 4 INVEST LIMITED. Profit Feb 17th, 2019 $12.00 API Payment. Withdraw to allhyips from SPORT 4 INVEST LIMITED. Profit Feb 16th, 2019 $12.00 API Payment. Withdraw to allhyips from SPORT 4 INVEST LIMITED. Profit Feb 15th, 2019 $12.00 API Payment. Withdraw to allhyips from SPORT 4 INVEST LIMITED. Profit Feb 13th, 2019 $12.00 API Payment. Withdraw to allhyips from SPORT 4 INVEST LIMITED. Profit Feb 13th, 2019 $19.00 API Payment. 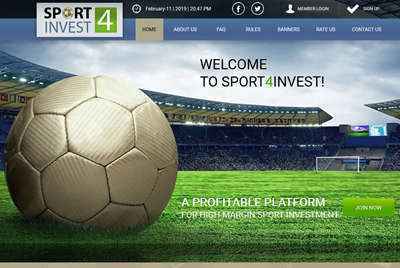 Withdraw to allhyips from SPORT 4 INVEST LIMITED.